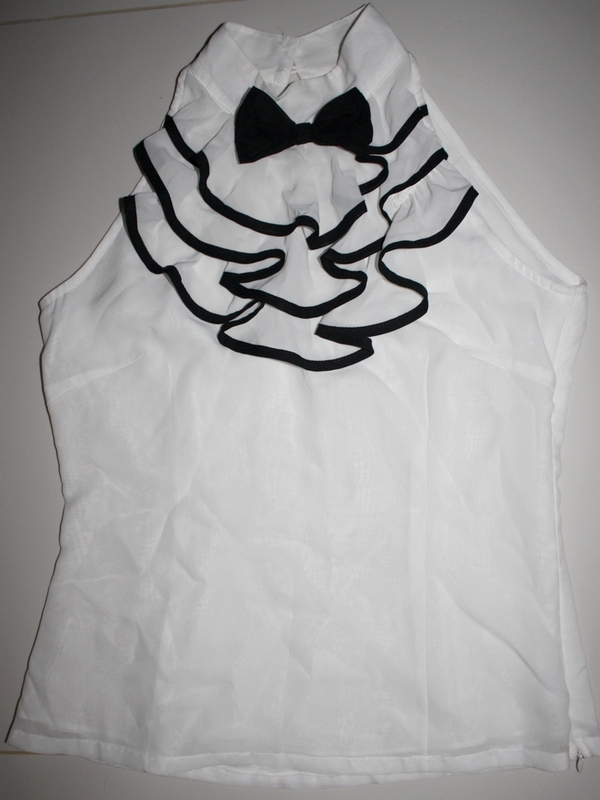 A structured white top featuring a sleeveless cut, piped frills and bowtie appliqué to the front, high collar and double-button keyhole fastening to the reverse. 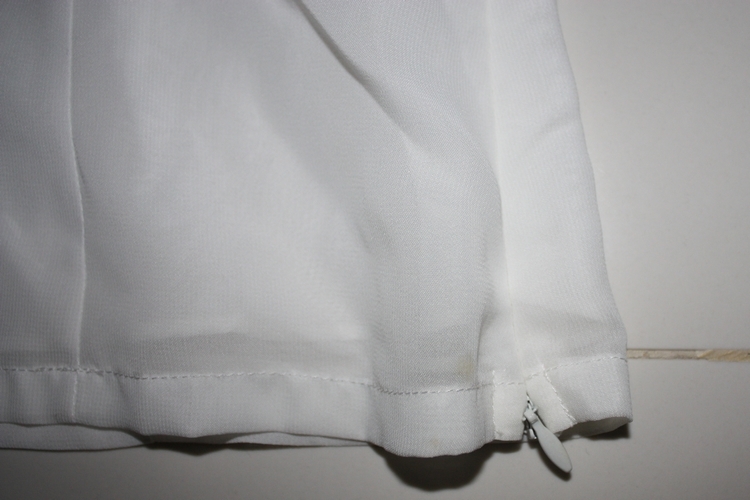 With darts down the front and back for a better fit, as well as a concealed zip up the left seam for ease of wear. This top looks great paired with a pencil skirt for office use, or even some washed out denims to dress up your day look!